Cultscoop Magazine’s Sharon Jordan and John Huff sat down with filmmaker SHANNON LUSTER, classmate of actor James Franco and a UCLA Alumna, to chat about making movies, directing and more. 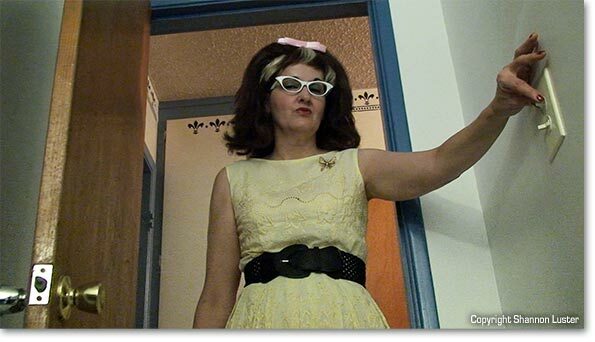 Shannon Luster is currently in pre-production for the feature length film, TERESA. She also made her directorial debut with DYING TO SEE YOU. 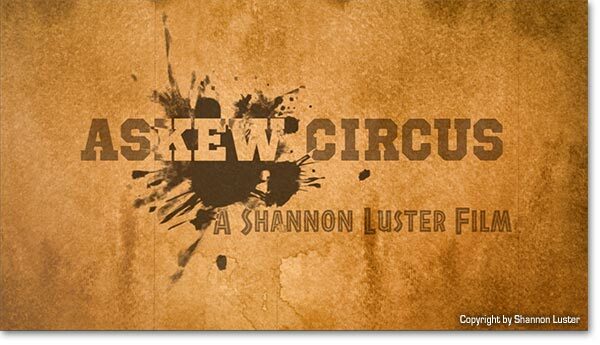 Since then, Shannon wrote and directed ASKEW CIRCUS, also writing 23 HOURS. The California Film Awards, in honor of filmmaker Orson Welles, also awarded 23 HOURS with the Gold Award. It was great turning the tables on Shannon Luster, a fellow interviewer and editor for Cultscoop Magazine, to discuss filmmaking and more. SHARON JORDAN: What skills you have developed? Acting? Editing? Writing? What type of training do you have in these areas? 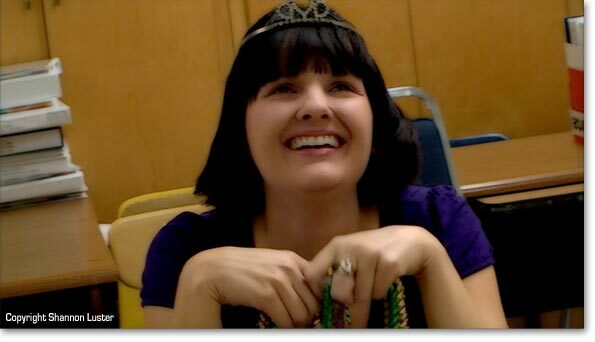 SHANNON LUSTER: Yes, I have trained in various areas of the entertainment business. I earned a Bachelors in English from UCLA, graduating with both highest departmental honors and college honors. I was also a classmate of James Franco at UCLA. We took a literary criticism class taught by Mitchum Huehls. I also had the privilege of learning the art of screenwriting from Andreas Kossak, a supportive and knowledgeable mentor. Another influential teacher of mine in filmmaking was Rod Metts at CSUSB. Everything I know about non-linear editing, however, I learned from Bradford Owen while studying film at CSUSB. I have a working knowledge of Avid (the industry standard) and a firm grasp of both Final Cut Pro 7 and Final Cut Pro 10. As for acting, I have been drawn to that for a long time  since childhood really and have honed my skills through the years with classes and by working on different projects. JOHN HUFF: What system do you use for editing your films? SL: For certain productions, I have used Final Cut Pro 7 and for others, Final Cut Pro 10. Both systems have their advantages and their limitations. On a separate note, I would be excited at the prospect of using Avid for future productions. SJ: What inspired you to create your directorial debut, DYING TO SEE YOU? SL: There were two driving inspirations for DYING TO SEE YOU that shows the elderly, good-natured patient, Victoria, being preyed upon by the Satan of all nurses, Tess. My first inspiration for that storyline was THE DARK KNIGHT, starring Heath Ledger as The Joker and Aaron Eckhart as Harvey Dent (i.e. Two Face), particularly the hospital scene when The Joker taunts and twists Dent’s mind. An excellent scene to a stellar film. And also an inspiration while I was writing DYING TO SEE YOU. 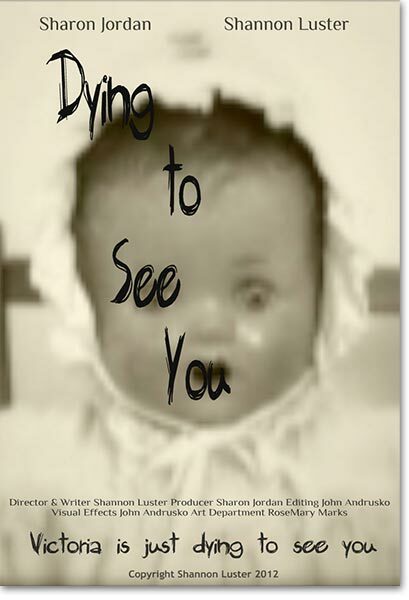 My second inspiration while I was writing DYING TO SEE YOU was Shakespeare with a horror twist. Especially OTHELLO. I read that play while attending UCLA in a class taught by respected Shakespeare scholar, Dr. Robert N. Watson. The main character Othello starts a hero and turns murderer, because of evil, brilliant Iago’s influence. The version starring Ian McKellen as Iago and Willard White as Othello in an episode called OTHELLO of the series, THEATRE NIGHT, particularly stood out in my mind. Both Othello and Iago’s characters motivated me especially while shaping Tess and Victoria’s characters in DYING TO SEE YOU. JH: How extensively do you script your films? When you shoot, do you stick to the script or do you improvise? SL: Since I have filmed with a single camera, it is important for the actors to know their lines, which makes it much easier for maintaining continuity during the editing phase in post. I value the skill of Improv and have even made a study of it myself, but for the kinds of productions that I have done and will do, the actors need to know their lines. SJ: You wrote and directed DYING TO SEE YOU. Do you think that being the writer and director is beneficial? If so, how? SL: There are certain benefits to writing and directing projects. While writing a screenplay, I keep in mind what the scenes are going to look like when translated onto film. In a way, a mental shot sheet of sorts. Shot sheets are useful for directors to keep track of what types of shots are needed for each scene. So writing and directing allows me an opportunity to translate what I see in my mind’s eye to the eyes of my audience. That was certainly the case with DYING TO SEE YOU and other past projects as well as projects also currently in the works. JH: In the history of educating filmmakers, the pioneers learned by doing. With the rise of studios, a union system developed with strict apprenticeship tracks. The 60 film schools started to dominate. Where are we today? Is there a new phase perhaps brought on by digital media? SL: For the most part, we are in the digital age, which has ushered forth a democratization of sorts, because with cameras, editing software, and other types of equipment being so readily accessible, more people now can create. 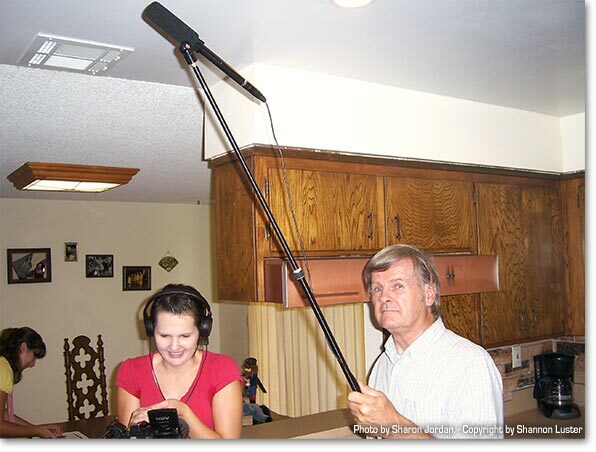 However, just pointing a camera at something does not necessarily make it a film. I cannot stress enough how important it is to know the craft of filmmaking if your goal is to compete in platforms like film festivals or see your film come to life on the silver screen. SJ: You acted in DYING TO SEE YOU. What was that like? Is there anything you would like to share with us? SL: Focusing on the emotions behind the dialogue and temporally suspending myself out of myself to throw myself into the character of Tess. That means cracking the surface of what Tess says to then understand her underlying motivations. That way, I could understand Tess by exploring inside her mind and also understanding how she saw the world. 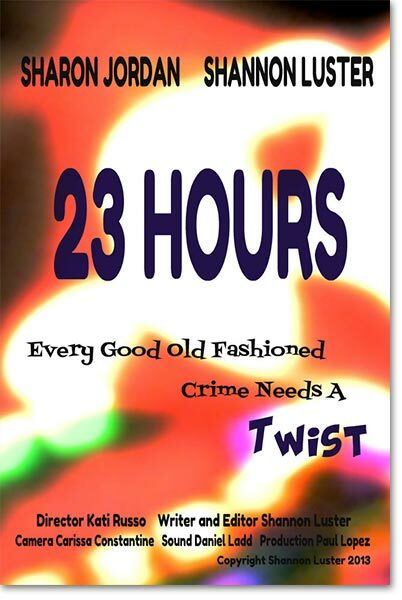 I also applied a similar technique to Katy Lime  the good old-fashioned villain with a twist  that I acted as in 23 HOURS. JH: If you were to rank how important to you as a filmmaker are look, style, performances, story, and music? SL: In an ideal situation, the different elements work together to enhance the whole and in extension heighten (hopefully) the experience for the viewer. SJ: Your great-grandfather - Carl Luster - toured across the country as a Vaudeville actor, performing at The Palace Theater in New York City. Carl Luster also opened for actors like Milton Berle. Has your great-grandfather's success in the entertainment industry influenced your decisions? And if so, how? SL: At the peak of his fame, Carl Luster did perform at The Palace Theater three times on Broadway. The Vaudeville actors, including my great-grandfather, called the theater The Palace. Later, Orson Welles transformed that same theater into a movie theater for the premiere of CITIZEN KANE, an interesting side note. My great-grandfather Carl Luster also toured the country with the Orpheum Theater during the 1920s with the act he also created: The Luster Bros. Carl Luster was also a performer for circuses like Ringling Bros. and Hagenbeck-Wallace Circus, performing in America and Europe. Those are just a few of Carl’s accomplishments. My great-grandfather Carl Luster also makes several appearances in my latest short film that I wrote and directed, ASKEW CIRCUS. I had footage of Carl Luster that I incorporated in ASKEW CIRCUS. It felt amazing to bridge the generation gap between my great-grandfather and myself. 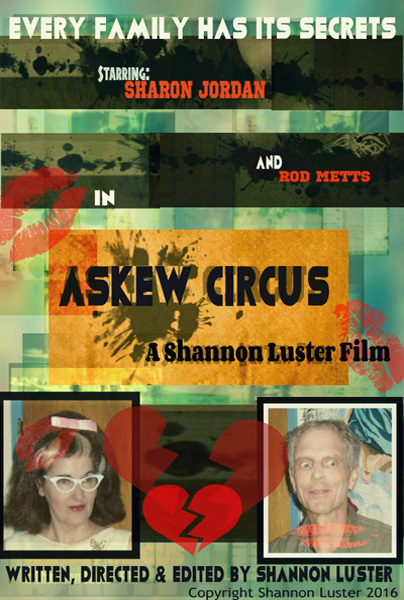 In fact, Carl Luster appears on the movie poster for ASKEW CIRCUS too. I did not have the privilege of meeting Carl in person, but his love for his life and his art continue to motivate and inspire me. In fact, Carl Luster also started work on a screenplay about his life, uncompleted, because of his death. I am currently working on a feature length screenplay based on Carl Luster, a remarkable performer. SJ: Did anyone, in addition to your great-grandfather, Carl Luster, inspire you to pursue a profession in the entertainment business? And if so, who? SL: Good question! Filmmakers like Tim Burton, Guillermo del Toro, and J.J. Abrams have influenced me. Tim Burton’s BEETLEJUICE was the first movie I remember watching when I was 6-years-old. The scene where the family and their guests break out in song at the dinner table was a movie moment that really stood out to me then and now. In BEETLEJUICE and other films, Tim Burton creates the whimsical fantasy world complete with comedy, one of the driving forces also influencing my projects now. JH: You're listed on IMDb. Is it important for you to be listed on IMDb? SL: To be acknowledged on IMDb, the database for professionals in the entertainment industry and their projects, it is such an honor, and something that I also strive for, work many hours, to create and then distribute films with professional quality. SJ: What type of genre are you drawn to create? Is there more than one style? SL: Yes, more than one style influences me, and the roots are deeply imbedded in the history of filmmaking. Two cinematic genres particularly draw me and, therefore, also influence my writing and over all filmmaking approach: the French Impressionist movement and the German Expressionist movement. Exploring a character’s psyche and reflecting that emotional state in choice of shots and editing are ways that the French Impressionist movement influences my projects. The focus on other worlds and characters, often fantastical if not a bit creepy, reflects how the German Expressionist movement also makes an appearance in my projects. JH: Who are the people you work with? Do you like to work with the same people? SL: Yes, I like working with a group of people, my friends and family, who often work on my productions. The people who I have had the privilege to work with on several occasions includes, but is not limited to: Sharon Jordan, Tracy Luster, and Kati Russo. Powerhouse teams often form in this business like Danny Elfman and Tim Burton or George Lucas and Steven Spielberg. Certain families have also made it a point to work together like the Coppolas and the Sheen/Estevez family, among other examples. That being said, I am also open to working and collaborating with new people too (and enjoyed the opportunities to do so.) What matters is that the dynamics of the group work well together, which, in turn, often reflects in the quality of the production. SJ: Who are some of your favorite actors? SL: Benedict Cumberbatch a star of the blockbuster movie, STAR TREK INTO DARKNESS, and the popular British TV series, SHERLOCK. Helena Bonham Carter from well-known movies like SWEENEY TODD: THE DEMON BARBER OF FLEET STREET and THE KING’S SPEECH. Fabio Tassone from THE TUDORS. James Franco from OZ THE GREAT AND POWERFUL. And of course, one of my interviewers - Sharon Jordan- from Disney’s THE SUITE LIFE. For the record, there are many talented actors and actresses. JH: How do you cast? Do you do screen tests, etc.? What qualities do you look for in actors? SL: When looking at qualities in actors, I always ask myself a few important questions. First, is this a good fit? And when I say fit, I mean with the cast and the crew. If the answer is, yes, that actor will work well with others, then I proceed to the next question. How well does the actor embody the character? If the answer is: yes, entirely. Then that’s the person to cast. There are other considerations to casting, but some of the more important considerations were addressed here. JH: What's the most difficult when you start to get yourself established as a professional filmmaker? SL: The challenges facing filmmakers today: keeping up with the latest technology, financing, and making your presence known. The rise of the Internet has provided many platforms for filmmakers that were once inaccessible, which comes with its own set of possible benefits. SJ: What advice would you give to aspiring directors? SL: Know your craft: a helpful tip for aspiring directors, actors and filmmakers. Study successful directors: a tip for aspiring directors. Tim Burton, Steven Spielberg, J.J. Abrams, Guillermo del Toro, Peter Jackson, Christopher Nolan and others. Absorb as much as you can about the art of film before just making a movie. Always remember filmmaking is a team sport, and we’re only as strong as our weakest player like Mike Wichman told film students. So know your craft. JH: As a filmmaker, how do you measure your success? SL: Good question! It boils down to the audience. While preparing, shooting, and working in post, sometimes it is easy to become trapped in a bubble of sorts. But always on the perimeter of my mind, I know that an audience will eventually see this. Whether a movie succeeds or fails largely depends upon whether the audience becomes engaged, forgetting their lives, and becoming immersed, even if it is for a brief moment, into what they see in the world that the filmmakers have created. SJ: What advice would you give aspiring actors? SL: Research your character: a tip for aspiring actors. Heath Ledger prepared for a year before stepping on the set as The Joker in THE DARK KNIGHT. Gary Oldman is also well known for preparing for his roles, especially understanding the psychology of his characters ranging from Sirius Black in the HARRY POTTER MOVIES to George Smiley in TINKER TAILOR SOLDIER SPY, and other movies. Study actors and study from actors who have made it. There are some great acting schools including Playhouse West and The Second City. James Franco, Ashley Judd and others have studied at Playhouse West. The Second City also has some impressive graduates like Tina Fey, Mike Myers and others. JH: How do you feel about film festivals? Would they be useful? SL: Film festivals are often times a great way to showcase your work. There have been times when short films showcased at film festivals have attracted filmmakers like Guillermo del Toro and Tim Burton who signed on as producers, collaborated with the original filmmakers, to create feature films. The movies - MAMA and 9 - both owe their origins to short films featured at film festivals and becoming discovered that way. SJ: Is there anything else that you would like to discuss that we haven't covered? SL: Yes, Howard Rosenman, executive producer of SPARKLE and producer of FATHER OF THE BRIDE, shared with me some secrets for his success. Seize opportunities as they come along in the entertainment industry and also in life, according to Howard Rosenman. Good advice. Plus, you (Sharon Jordan) attended a class taught by Jeff Goldblum, star of JURASSIC PARK, and GLEE, at Playhouse West. You told me some advice that Jeff Goldblum had shared with the class: create your own work through collaboration. Also good advice. SJ: What are your future plans? Any projects currently in the works that you would like to share with us? SL: I wrote and will direct my first feature: TERESA. We’re currently in pre-production. 23 HOURS also recently won the Gold Award from the California Film Awards. I am also shopping ASKEW CIRCUS in the film festival circuit. I am in the process of writing two feature length screenplays. One centering around Carl Luster and another on the Caesar family. Plus, other projects are also in the works. JH: How do you see yourself in the future? What kind of position as a filmmaker would you like to be in? SL: In my ideal future, I will be a creator and director of both my own films and collaborating with other filmmakers. In my opinion, my work is the basis for teamwork. I remember a true story from Sharon Jordan who was working on a set. One of the crew members said to a newcomer, “Do you want to get along or do you want to be right?” To which he said, “I want to get along,” and the crew member replied, “Right answer.” And they all got along. It’s about the team working towards a final product that will function and have a life on its’ own. Thank you Sharon and John for interviewing me. It’s been a blast!